We can provide Web design and hosting services. Do you need a Website but don’t have the time to create the site? Do you have a current Website that needs updating? 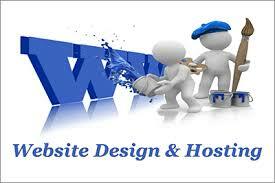 We provide Web design and hosting services. As a 25+ year Internet professional, I can create a personalized Website for a reasonable cost. I have been on the Internet since 1993 and launched LincOn.com’s predecessor Edison! in 1995. Edison! was the largest collection of search utilities on the Internet. Today, we still connect users to the content that they are looking for. With our Web services, you get a true Webmaster who is local and not someone thousands of miles away. If you are in the Enfield, Somers and Stafford, CT area, we can provide one on one visits to help create your Website and help you with your Web design and hosting. Contact us to find out more and what we can do for you! If you are a small business, you might be wondering why you should have a Website. If you provide services, customers are looking for information about the services that companies provide. They will search the Web and while your business may come up on a map, if customers cannot find your Website, they cannot read about the services that you provide. For example, if you own a restaurant, customers might want to see your menu so they know what to order or your restaurant is right for them. By not having a Website, customers will look for one that has a menu online. That’s why you need someone that can provide personalized Web design and hosting like LincOn.com’s Dave Broer. Why can’t I just use facebook for my Web design and hosting? Facebook was designed for social media, not for business. You are in business, not social media. Facebook and other social media platforms are tools to communicate with customers but not for displaying information. You need a platform that YOU control! Our Web design and hosting services give you a site that is yours alone and your customers won’t be enticed to go elsewhere by ads from your competitors right on your page. Contact Dave Broer at dbroer@lincon.com to find out more!